We are all carrying a lot of excess baggage such as resentments, fear, jealousy, self-pity, and dishonesty. This is a huge burden to us and now would be a good time to let it go. Forgiveness involves forgetting, releasing and moving on. When something is removed, it is always filled with something else. If you let go of your defects and replace them with assets, serenity and peace will fill the void. 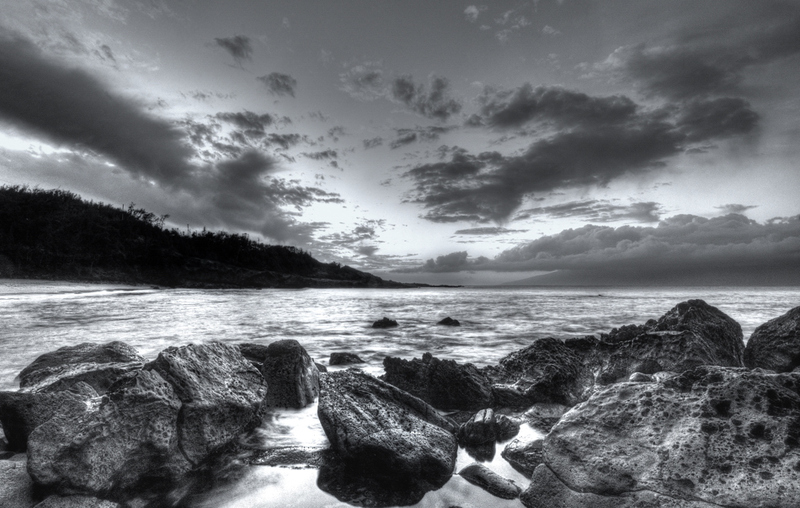 This image was shot off the coast of Maui in Hawaii. The clouds were lingering on the horizon and rolling off the neighbouring island to the right, we set up our gear and took in this beautufil and calm vista. There were few, if any, people at this location, and the gentle wash of the waves and soft trade winds were soothing to the soul. We bundled up some of our negative energy, put it into a “bag” and tossed it into the sea. One of Life’s ironies is that the more time we spend becoming “educated”, be it in a University, vocational school (or just the street), the more we forget that we are all extraordinarily intelligent beings to begin with. The conditioning to which we have and continue to be subjected to simply reinforces the myth that mental prowess is Nature’s unique gift to its favored few. Often we go through life totally oblivious to our innate brilliance and natural abilities. If we are looking to improve our circumstances, we need to keep in mind that as “part-owners” of that boundless reservoir of wisdom that surrounds and is available to us, we have the means to accomplish more than we ever dreamed of. All we need to do it recognize this source and draw a few buckets from it. Every human has four endowments self-awareness, conscience, independent will and creative imagination. These give us the ultimate human freedom… The power to choose, to respond, to change. This was shot with a Nikon D90, Sigma 10-20mm wide-angle lens, polarizing filter all mounted on a portable lightweight tripod. 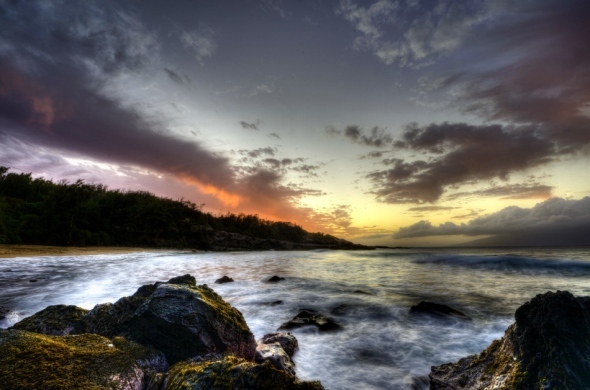 Three exposures were taken to capture the full dynamic range of the light and then combined with Photomatix Pro – an High Dynamic Range (HDR) tool. This vista presented itself when we arrived at a charming Bed and Breakfast at Bird’s Ferry in New Zealand. The Northern West Coast Region offers a wide range of scenery and historic sites to see and outdoor adventure sports and activities to do, all set within the natural riches that are found here from the mountains to the sea. 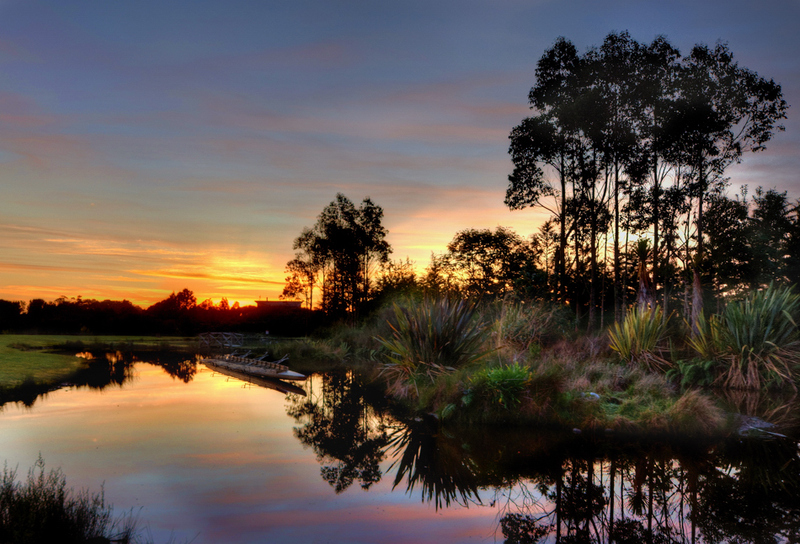 By far the region’s biggest attraction is its geography and wildlife, from the rugged coastline and its spectacular rock formations, the deep gorges and valleys carved by ancient glaciers and the region’s many rivers, to the lush rainforests filled with an abundance of unique and wonderful native vegetation and bird life. Truly a must go destination! If you’re like me, at the end of the day you’re tired, not looking for a fight, but willing to stand your ground…just like with this modern and irritating verbal crutch. It somehow indicates closure or synopsis, and is used by people who are incapable of finishing a sentence without incorporating at least one tired cliché. It’s hard to escape it. You hear it in meetings, in dinner conversation and, of course, all over the radio and TV. “And so, at the end of the day, when all was said and done, we wrapped things up and we were all happy campers” …Let’s look at the end of the day in a different manner and avoid tired, self-righteous catch phrases! Finish each day and be done with it! You have done what you could; some blunders and absurdities have crept in; forget them as soon as you can. Tomorrow is a new day; you shall begin it serenely and with too high a spirit to be encumbered with your old nonsense! Remember, Life is not about finding yourself. Life is about creating yourself! 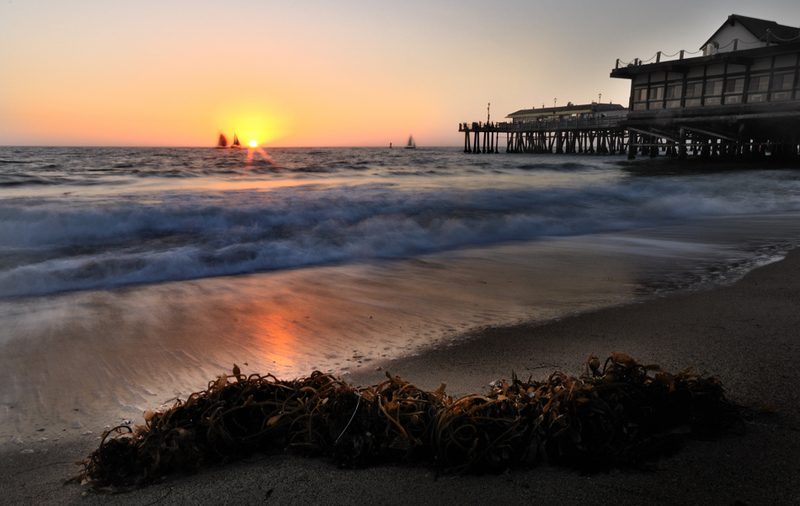 This wonderful sunset was shot at Redondo Beach, California. The pier to the right is huge and has many fascinating shops, places to eat, and other gems to discover. As you may have noticed from previous posts, I am a sucker for objects in the foreground to give depth to the image – here we find a tangled pile of Kelp. Using a Nikon D90 mounted on a tripod and equipped with a Sigma 10-20mm wide-angle lens, the aperture was set to f/27 allowing a 1.5s shutter speed. The intention was to allow a bit of motion blur to the oncoming waves and some sense of motion to the sailboats which were moving at quite a clip. So this week I am away on business in Hawaii- so far each & every day has been so filled that I have not had a single moment to take the camera out of the bag and capture the beauty of this place. I have had time to check out a few key spots for later in the week when the opportunity should be perfect- but in the meantime- I thought you all might like a replay of one of my favorite places in Maui. Erik captured this shot while the waves were crashing all around him trying to keep from falling on the rocks everywhere. For me, I was relaxing, listening to the waves- watching the sun slowly set after island hopping to Oahu and back for a pre-inspection for the conference we are at right now. I want to extend out to the members of HAIP a simple word that wraps this entire week up so far- – “Po’okela!” Which means, Excellence! This was shot on the beach at Cardiff in Southern California just as the evening family photo shoot was drawing to a close. 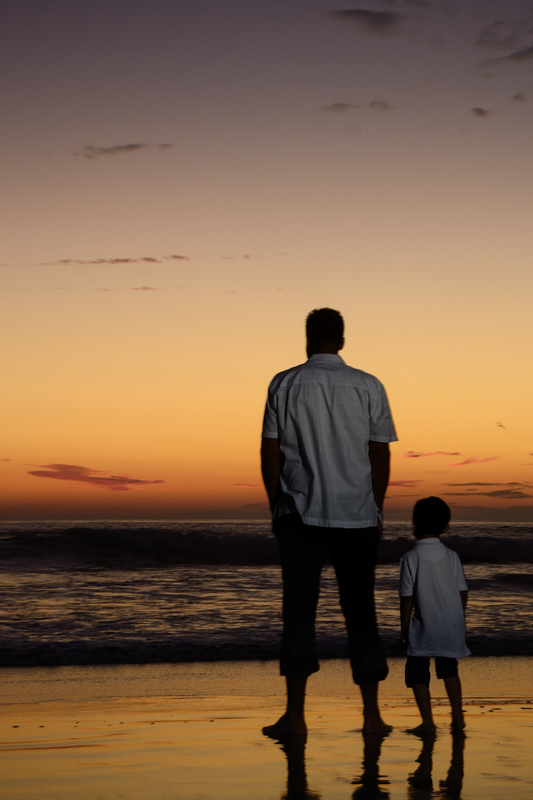 The father and Son wandered off into the surf to take in the beautiful sky after sunset. We snuck up behind them and used an off camera flash (Vivitar 285HV with a shoot through umbrella) to provide a bit of fill light without destroying the colors in the sky). You may recall, “Father and Son” is a popular song written and performed by singer-songwriter, Yusuf Islam (then known as Cat Stevens) on his 1970 album Tea for the Tillerman. The song frames an exchange between a father not understanding a son’s desire to break away and shape a new life, and the son who cannot really explain himself but knows that it is time for him to seek his own destiny. To echo this, Stevens sings in a deeper register for the father’s lines, while using a higher, more emotive one for those of the son. Here is a snippet of the lyrics! I wanted to do a session of Moon rise and sunset from Hotel Del in Coronado, CA, but the clouds did not agree with me today. The Moon is not only full but orbitally super close to Earth – scientists call it a Super Moon. So instead, I created my own landscape, or foodscape. 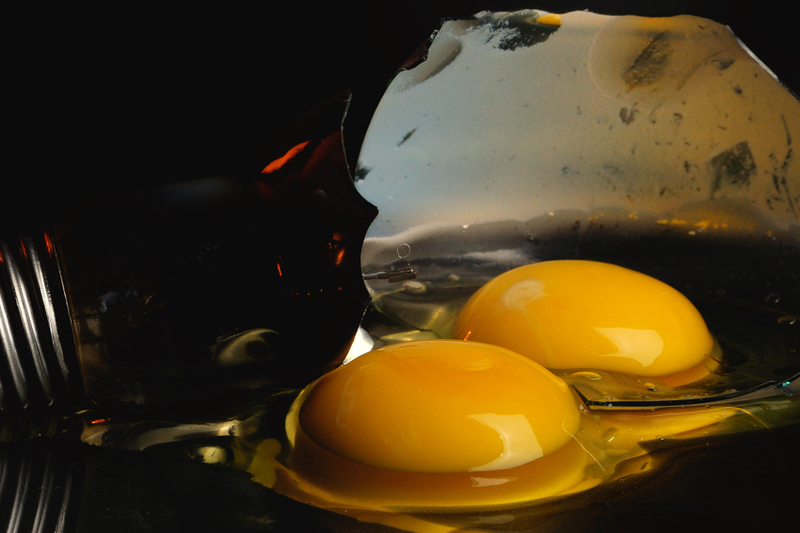 I smashed a floodlight, broke an egg (two yolks in one) and lit it up! I was amazed to find the entire San Diego coast in the reflection…Wow! Seaport Village is built on landfill over Punta de los Muertos (Point of the Dead) where the Spanish expedition of 1782 buried those who had died of scurvy. In later years it was a railroad yard where goods and other products were unloaded from ships and loaded aboard trains for shipment east. 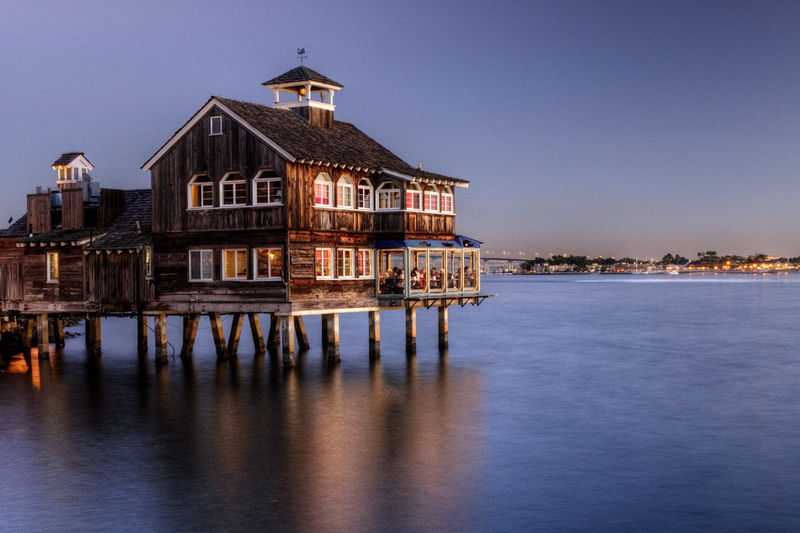 Seaport Village broke ground in 1978 and opened in 1980. This was shot just after sunset after scouting and testing images for several hours.